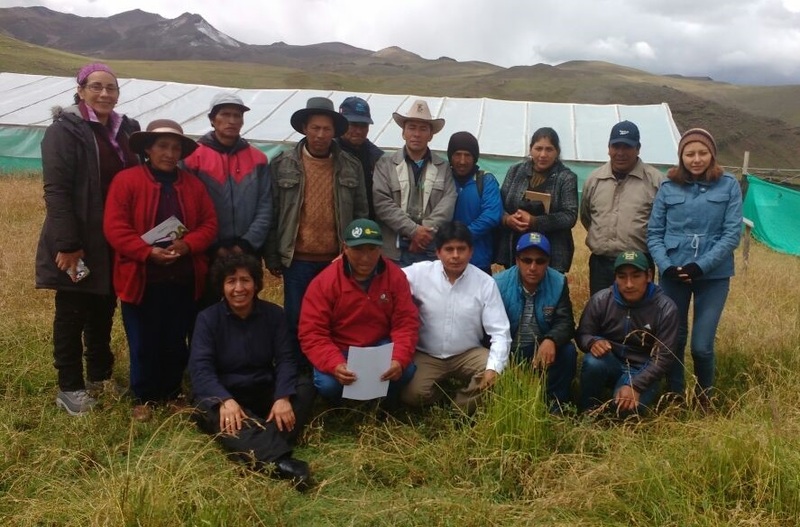 The aim of the study ‘Community Management Plan for pastures and wetlands of the Pilpichaca community in the Huancavelica region’ (CMP Pilpichaca) was to generate a scientifically validated management tool intended to serve as a guidance instrument for engagement between the Pilpichaca Community and its public authorities; engagement that would help in the formulation of new projects in relation to landscape characteristics. The study would work with key actors, including government institutions and the community, and the tool would be based on an integral assessment (environmental, socio-cultural and economic) and on the guidelines of the national document titled Guía para el cumplimiento de la Meta 3 del Plan de Desarrollo Local Concertado del Centro Nacional de Planeamiento Estratégico-CEPLAN 2016 (Guide for compliance of Goal 3 from the Local and Concentrated Development Plan of the National Center of Strategic Planning 2016). To develop this participatory tool, the Agua-Andes research team conducted seven workshops with the Pilpichaca Community from May-October 2017, as well as field trips to collect information about rural families, the hydrology, and the state of pastures and wetlands. The field work was complemented with analysis of satellite images to generate maps about “potential occurrence zones of overgrazing”, that includes local farms and the number of animals. The workshops helped us validate the characterization of the rural families: their alpaca breeding, social organization, and agreements regarding the use of the land. This is very important because it helps to create a community vision and identify common goals, as well as the strategic actions required for their fulfillment in a given period of time (Year 2021: Bicentennial of Peru). Identifying the key responsible and supportive actors to achieve these goals is helpful because it will allow them to continue monitoring and updating their progress during community meetings (usually one weekend, every other month), as well as in meetings with public authorities, private organizations and universities. The official presentation and unanimous approval of the CMP Pilpichaca Technical Report and its respective Summary Report to the Pilpichaca Community was delivered on 4 April 2018, during a meeting with representatives of the District Municipality of Pilpichaca, the Regional Government of Huancavelica, CONDESAN and the Water-Andes Program. Finally, the work culminated with an agreement to make a Municipal Ordinance that approves and promotes the implementation of CMP Pilpichaca and its incorporation into the budget. About the study: “Community Management Plan for pastures and wetlands of Pilpichaca community in Huancavelica region” (CMP Pilpichaca) has been developed by the research team of the Water-Andes Program of the Centro de Competencias del Agua (CCA) and the company Aqua-Andes Innovation, both institutions led by Dr. Bram Willems and which counted on the support of the International Water Security Network (financed by Lloyd’s Register Foundation) and “Agua-Andes: Ecological infrastructure strategies for enhancing water sustainability in the semi-arid Andes” (financed by USAID). 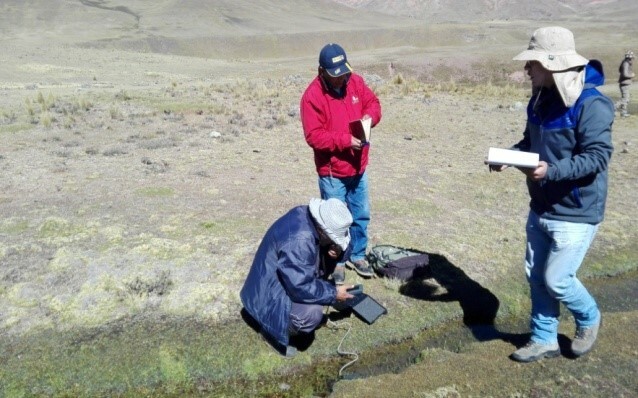 This study forms part of a bigger framework; namely, the EcoAndes Project, financed by the Global Environment Facility (GEF) through of the United Nations Environment Program (UNEP) and executed by the Consortium for the Sustainable Development of the Andean Ecoregion (CONDESAN). CONDESAN has been carrying out projects for the conservation of mountain ecosystems and development of rural communities in Ecuador and Peru where it has maintained a relationship with the Regional Government of Huancavelica and the District Municipality of Pilpichaca; along with CMP Pilpichaca technical study. About the author of this note: Ana Luisa Calvo is from Peru. She is a Geographic Engineer from the Universidad Nacional Mayor de San Marcos and has a Master’s in Biotrade and Sustainable Development. Currently, she is researcher for the Water-Andes Program at the Centro de Competencias del Agua (CCA) and the International Water Security Network. This information and pictures are taken from original document: Willems, B., Calvo, A.L., Taboada, R., Espinoza, R., García, J., 2018. Plan de Manejo Comunitario para la gestión de pastizales y bofedales de la comunidad de Pilpichaca, Huancavelica. CONDESAN-Proyecto EcoAndes/Aqua-Andes Innovations. Lima.